Samsung and mobile unified-communications pioneer DiVitas Networks are working to make enterprise telephony functions work better on dual-mode handsets using Microsoft Windows Mobile. Mobile UC can make cell phones work like desktop business phones on both office LANs and cellular networks, while also adding presence and instant messaging capabilities. It can save cellular minutes by shifting calls onto Wi-Fi as well as simplifying users' lives by providing a consistent set of features inside and outside the office. But this ambitious vision is a hard fit with most mobile platforms, which weren't designed to support these features, according to DiVitas founder and CEO Vivek Khuller. The company's collaboration with Samsung will finally put dual-mode Windows Mobile phones on par with purpose-built Wi-Fi handsets in terms of battery life and Wi-Fi performance, as well as addressing some other issues, Khuller said. DiVitas helped Samsung develop an API (application programming interface) that allows mobile UC software to work better on Samsung Windows Mobile devices. The API also helped to make possible the latest version of the Samsung Mobile Innovator's Software Developer Kit (SDK), released last month. Using that SDK, other mobile UC vendors will also be able to make their systems work better with Samsung phones, Khuller said. Independent mobile UC vendors such as DiVitas make it easier for the typical IT department, with many different telephony platforms under its purview, to deploy this still-nascent technology, said Wainhouse Research analyst Brent Kelly. Systems from big players such as Cisco Systems and Avaya tend to work better with their own platforms, he said. DiVitas and Samsung's work has value, but the companies have their work cut out for them competing against Research In Motion's BlackBerry platform, which holds about half the mobile enterprise market in North America, Kelly said. Carriers, which typically have some involvement in an enterprise's mobile strategy, also want to push some of their own services in this area, he noted. For his part, DiVitas' Khuller said neither the BlackBerry nor Apple's iPhone has been optimized by anyone for this kind of application. DiVitas has worked with Nokia to optimize its smartphones for mobile UC, but those devices have a fairly small market share in North America. 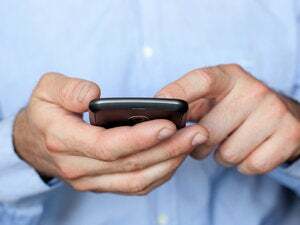 Without some form of tuning, regularly using dual-mode mobile phones on an office Wi-Fi network tends to drain their batteries faster than usual, and those networks usually aren't designed with roaming voice service in mind, Khuller said. There have also been some other problems with mobile UC on Windows Mobile. For example, when users return to the office and their calls shift over to the private Wi-Fi network, the handsets sometimes bounce into speakerphone mode, according to Peter DeNagy, general manager of enterprise mobility enablement at Samsung. There have been patches for such things, but Samsung's work with DiVitas was intended to solve those issues "holistically," DeNagy said. Samsung is only DiVitas' second major handset partner. Cooperation between the two companies will also bring DiVitas software onto CDMA (Code-Division Multiple Access) handsets for the first time in an optimized way, thus addressing a huge part of the U.S. market, Khuller said. The API will enable DiVitas software to run on four upcoming Samsung CDMA phones for the U.S. (Epix, Saga, Jack and Omnia), as well as the GSM (Global System for Mobile Communications) version of the Omnia for global markets. Samsung did not disclose when these phones will go on sale.